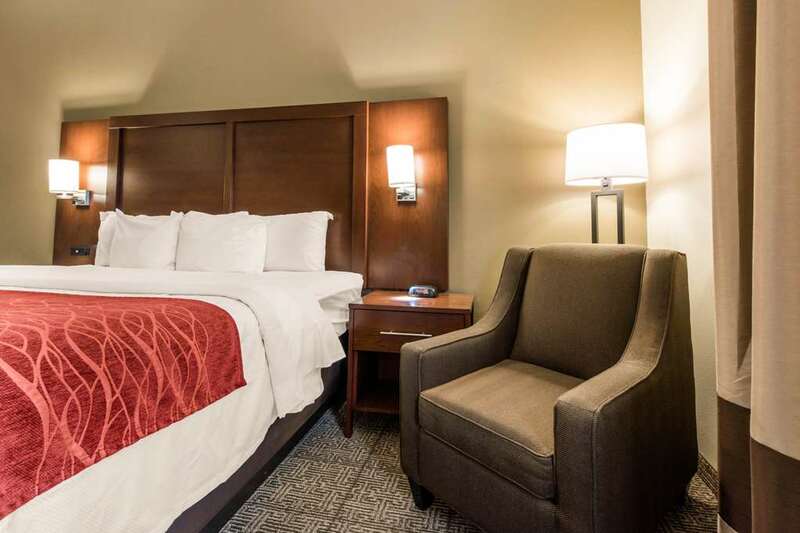 The Comfort Inn and Suites hotel in Streetsboro, OH will get you rested and ready for anything. Located off the Ohio Turnpike, nearby destinations include Rock and Roll Hall of Fame and Museum, Kent State University, Progressive Field, Boulder Creek Golf Club and FirstEnergy Stadium. Take advantage of amenities like free hot breakfast, free WiFi, indoor heated pool, guest laundry and a meeting room. Guest rooms include a coffee maker, hair dryer, iron and ironing board. Some rooms have a a hot tub. Also, earn rewards including free nights and gift cards with our Choice Privileges Rewards program.